Throughout the life of Ecquire, I’ve made lots of mistakes spending much more money and time than I really needed to get something done. 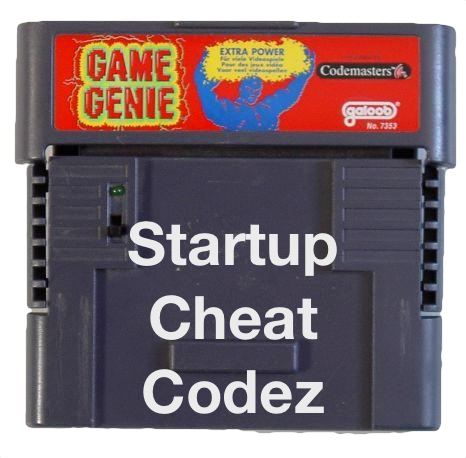 So, in the grand tradition of post cheat codes online – I make these available to you and to any of your friends thinking about starting a company. Pick a ready made brand with Stylate – comes with domain name and logo. Amazing value proposition. Do NOT pay a designer four figures for this! You can get fantastic work for the price of a beer – definitely for under $20. Doing a landing page? Use UnBounce. It’s a click and drag interface and you can just use the great templates they provide. You’ll be able to measure performance to your heart’s content. Doing a coming-soon-sign-up-for-our-beta page? LaunchRock. Want to do something more unique? Head over to ThemeForest for beautiful HTML designs that won’t cost you more than $10 on average. Need help writing text? Don’t muck around guessing and trying to be Ernest Hemingway. Read Copy Hackers – a fantastic, super-pragmatic explanation of how to write great headlines, great button text, and great landing pages. More valuable than any writing seminar I was forced to take in college. For screen capture on windows – camstudio is open source and free. I use a mac – and the $30 I spent on iShowU HD has paid out time and again for making demos, tutorials, and landing page intros. For text slides, use PowerPoint or Keynote and simply export your slides as images. No you don’t. Not just yet. Keynotopia provides anything from Web 2.0 website elements, to iPhone and iPad, and even Facebook app templates. For iPhone apps, the specialist in this field is MockApp. These tools allow you to build mockups and prototypes in a matter of hours so you can start doing videos, interviewing customers, pitching, and testing assumptions without writing a single line of code. Doesn’t matter if you’re technical or non-technical – you will save time either way. I believe in outsourcing. Not offshoring. Your goal as an entrepreneur is to get the benefits of having a large team without the costs. More importantly – your goal is to work on as little as you can outside of your core value. That means anything that can be passed off reliably with minimal management should be. For starters, I know HTML/CSS pretty well, but it’s time consuming. So I pass it off to HTMLBoutique which is one of many PSD-to-HTML firms on the web. They’re somewhere in eastern Europe. That’s less important than the fact that they come back consistently with compliant, compatible, pixel-perfect HTML/CSS that I always learn something new from. When it comes to real code, if I can find a part of the project that has very clear inputs and outputs (say, an API library I need for my language of choice, or UI functionality, ) I will try to find a contractor for this as well. I have used TinyProj (founded by the guy who made Forrst) with great success – it’s a very efficient way to reach a ton of contractors at one time and pick and choose. Bootstrapping a startup isn’t narrowly about saving money – it’s about saving your time. hopefully these cheat codes will help increase what your limited funds can accomplish – as well as your limited time. Thanks Paul! Amazing insight. We’re helping small green businesses get their web presence up in open source platforms. Nothing irks me more than having a potential client tell me that their paying $500 a month for a proprietary site that looks like a turn of the century business card. Ouch. So many brilliant people out here being brave and soloprenuring! Love that you are rewarding them with great information, helping us all make a right livelihood.